Does iTunes backup photos on an iOS device? The answer is YES. If you've ever restored your iPhone, iPad or iPod touch from iTunes backup, you'll know it. When you sync your iDevice with iTunes, it will generate a backup automatically for your device, and updates it every time when you sync. 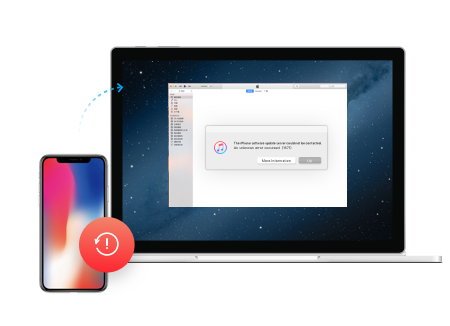 You can restore photos from iTunes backup to your device later when you have a need, but you need to restore the whole one and give up existing data on your device. That's to say, you'll only have the backup content on your device after the synchronization. Also, you can't preview or selectively recover part of the data. All or nothing, that's what iTunes can let you do. But, luckily we find a way to selectively recover photos from iTunes backup. Let's just see it! iTunes doesn't allow you to preview the content of the backup, let alone taking data out of it. What should we do if we really want to preview and recover only photos from iTunes backup? You can manage it, just need an iTunes backup extractor like dr.fone - iPhone Data Recovery(Win) or dr.fone - iPhone Data Recovery(Mac). This software allows you to preview all details in the iTunes backup file, and you can selectively recover whatever you want from it. Recover photos, videos, contacts, messages, notes, call logs, and more from iTunes backup. As a matter of fact, dr.fone - iPhone Data Recovery offers you two ways to recover data from iOS device: directly recover from iOS devices and restore from iTunes backup. Extracting photos from iTunes backup, we need to use the second way. Just click the menu on the top of the program's window. Then you'll see the window below. The program can automatically detect all iTunes backup files existing on your computer. 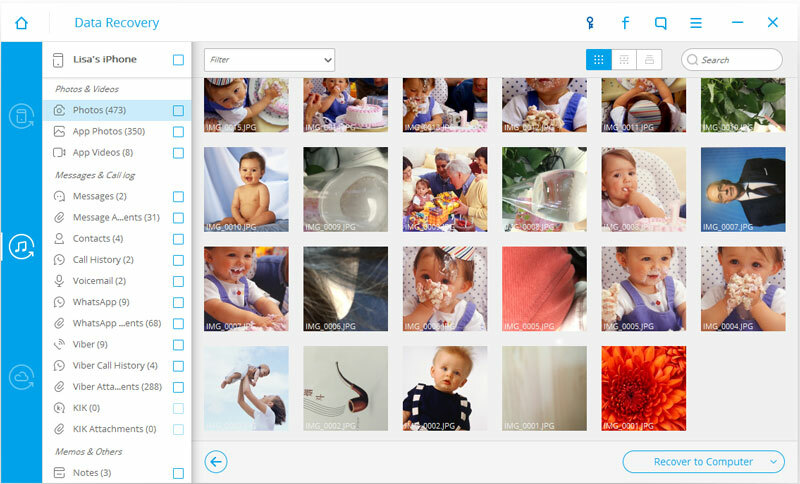 Choose the one where you plan to restore photos, and click on the Start Scan button to begin extracting. The scan process will take you only a few seconds. When it stops, you can preview all content in detail. Tick the items you want while previewing, and save them to your computer by clicking on the "Recover" button. 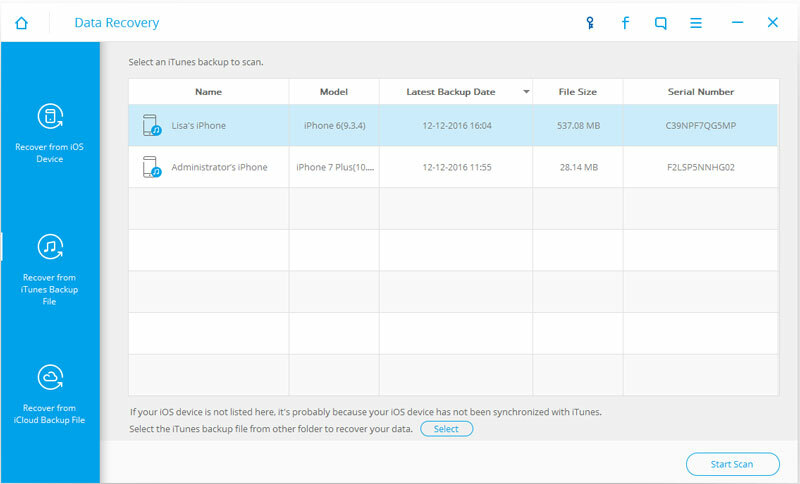 Note: Besides the existing photos in iTunes backup, dr.fone also can help to find and recover deleted photos (not overwritten ones) in the backup file. If you want them, you can recover them, too. In this article, we will introduce you two solutions on how to restore from iTunes backup and recover your precious data. iTunes Encrypted Backup: How to Encrypt iTunes Backup? Is there anything that can be done to guarantee the security of your backup? To help you solve this problem, you will be able to encrypt backup iTunes.